The National Aeroclub of Iceland (Icelandic “Flugmálafélag Íslands”) includes 26 aviation organizations of the country, any of which somehow related to flying. The president of the National club is elected every 12 months. Matthías Sveinbjörnsson is on the position this year. 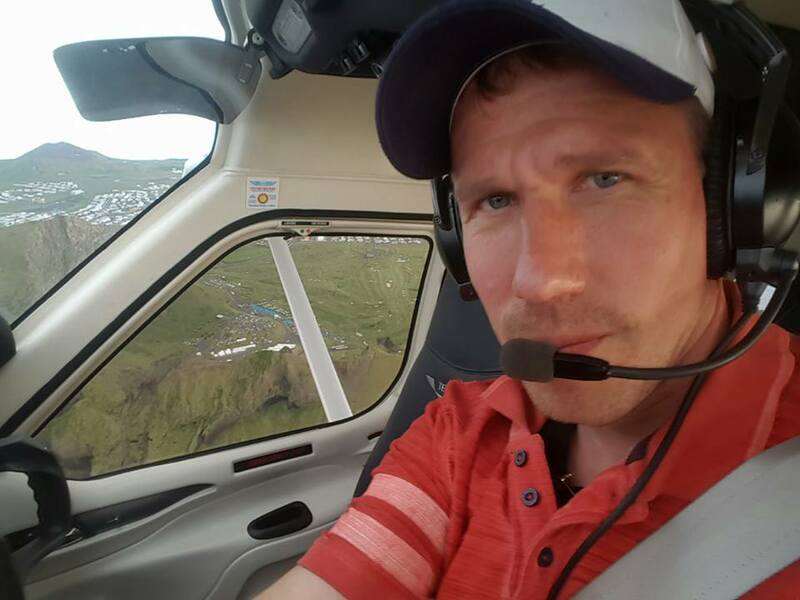 A man of the sky, he got his first flying experience in the early 80s, being a kid on board of sightseeing flight in the vicinity of Reykjavik. 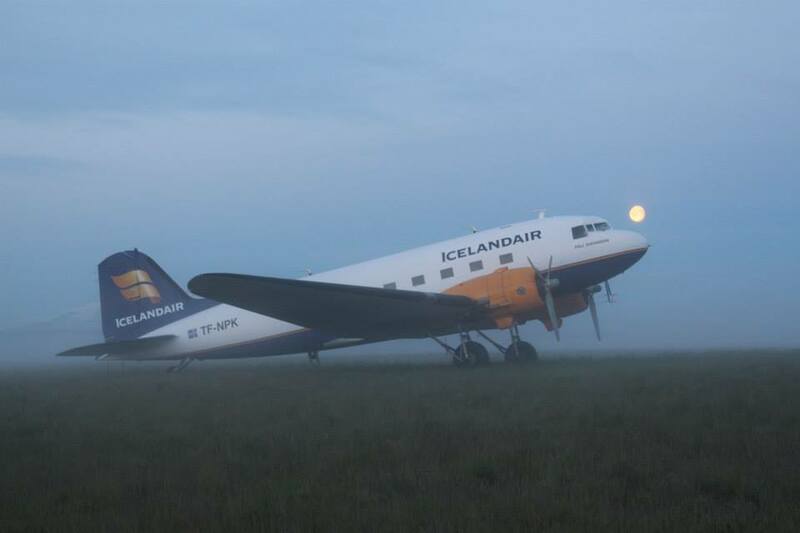 Later he became a co-founder one of the biggest aeroclub in Iceland, member of two other aeroclubs, engineer and pilot of the national carrier – Icelandair. 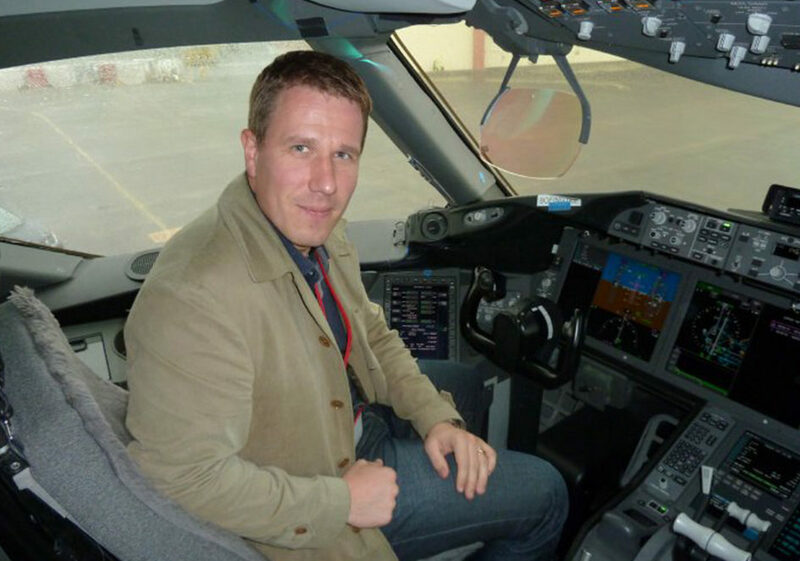 He met Flugblogger to answer questions about organizing major aviation events in Iceland and his passion of flight. At the beginning I want to ask you about your first flight experience. How it was and when? My father was always interested in aviation because he grew up very close to an airfield. It was during Second World War, so all warplanes flew over. Unfortunately, he was not able to explore the aviation as a pilot, because he had lazy eyes. But he did it in another way. For example, we were building many planes models. So, my brother and I got interested in aviation after him. By the way, my brother operates the flight school Geirfugl. My first flight experience was with my father and my brother when we took a charter plane out of Reykjavik. It was just one-hour circles. It was probably 1982 or 1981, something like that. I think it was a Piper Cherokee. We even have a video, maybe that is why I remember it so. My father was using an 8 mm camera for filming. Later I was always in aviation, for example, I went to the airport just on my bicycle to see aircraft and to talk with pilots. Airports did not have the fences they have nowadays, so everybody was free to walk among the aircraft. It was very interesting for me. So, that was the beginning. What pilot licenses do you have? My story is a bit strange that many other pilots. I started to learn for PPL when I was 16 years old and completed when I was 18. Then I did not pursue the CPL, because I decided I do not need it. Instead, I have started to learn to engineer, completed the study and worked as an engineer for 7 years. Then, it was probably 2012, when I completed my CPL. Prior to that, I took instrument rating on a single engine aircraft. After completing the instrument rating, it was fairly easy to obtain a commercial pilot license, because there is not that much to learn extra. So, after I have completed these licenses last summer, I stopped to work as an engineer and start to fly for Icelandair. For me, it was like a middle career change. 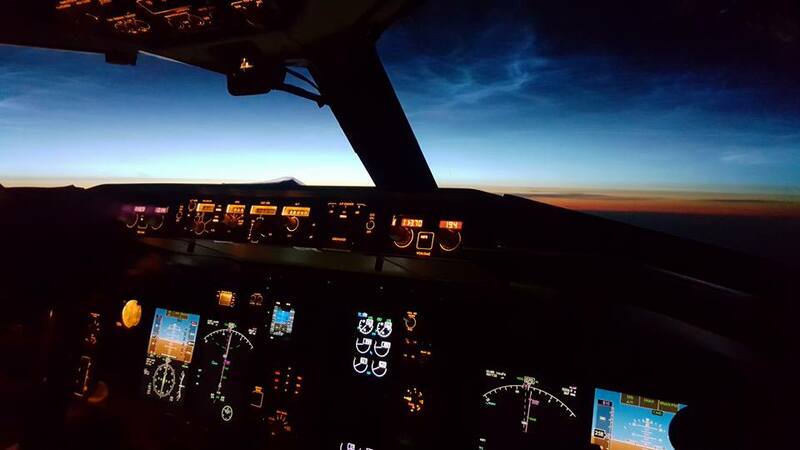 Why did you decide to become an airline pilot? I was totally okay with that to have just a PPL, being able to fly a private pilot, but when I saw there is an opportunity to start to fly for Icelandair, I did that and I like it. 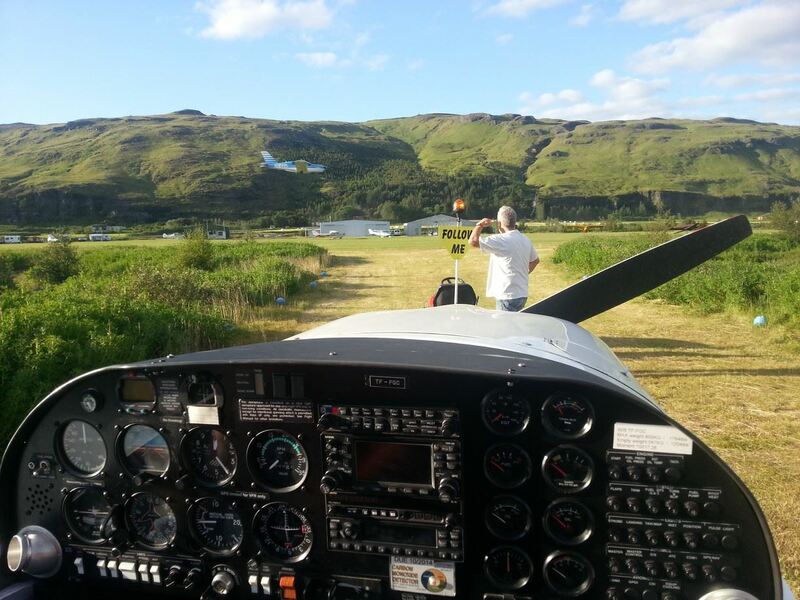 From your personal point of view, what is the most difficult on the way to becoming a pilot in Iceland? The weather is obviously difficult, but I would say that experience is like a double-edged sword. By taking part in this decision process – should I go or not, what are the weather conditions – it can make the training and accumulation of hours… it takes maybe longer time, but I think the quality of the hours is better. In comparison to Florida or Spain, where the weather almost not an issue, it is easier to fly there than in Iceland, where the weather so bad and changes so fast, especially in the wintertime. However, among those worst conditions, you can get greater experience. What about the economic part of the flight training? I heard people drop to become a pilot in Iceland because of the high cost of flying hours and go abroad for that. People make their own decisions, based on their own environment. 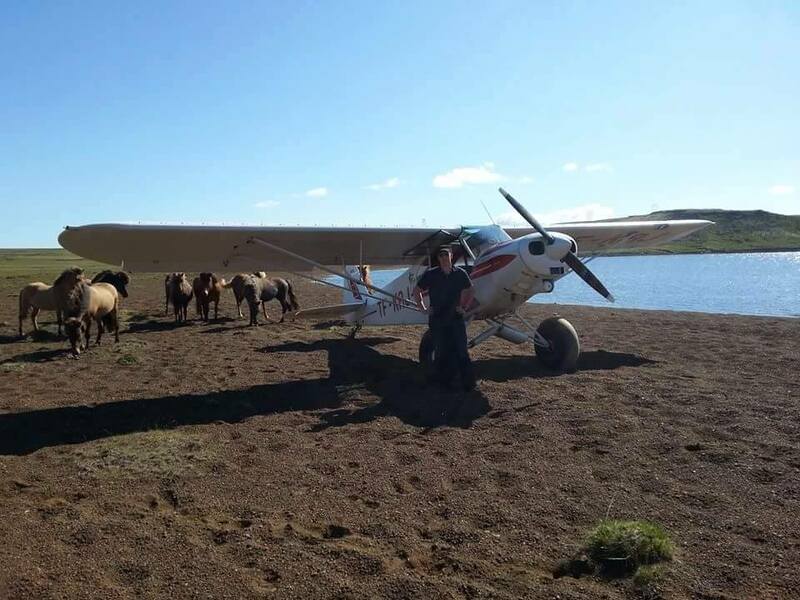 I think from the economic standpoint, it can be cheaper for them just to live at home in Iceland, being able to have a job and do you flight training parallel to your working. Just for comparison with going abroad, where they need to rent an apartment, etc. But might be there they can complete a training in a shorter time so it will be more concentrated. Nevertheless, I think the flying hours in Iceland are not so expensive. What about the price for gas for planes? Is it rising also as everything in Iceland? It rose a lot, then it comes to a plateau and comes back a little bit. The main change in Iceland that we able to use fuel intended for cars, it is much cheaper than aviation gas. How often do you fly? Which part of the flight do you like the most? I fly quite often in my spare time. For example, yesterday I went to Akureyri and back. The reason was that my wife and son are in the northern part of the country and my two older – son and daughter – are working. Therefore, we went to meet them. My younger son is 12 years old, and he has a lot of encouragement to go flying. I am the member of three clubs: Geirfugl, Þytur and Yakkar. It is only 3400 ISK for each membership, actually relatively cheap. It expands possibilities for flying. Flying is never just like a transportation for me. I am totally love everything about the process. It is not only to see the scenery, not only to fly the aircraft, it is everything about it, like a total package. Even to fly a bigger aircraft, Boeing 757, I always find it interesting. Even it goes for 8 hours, it is always something is going on. I fly both 757-200 and 757-300. But I have flown all planes with special Icelandair livery already: „Vatnajökull”, “Aurora” and the new one – “Þignvellir“. Tell me more about the organization you are head of. Let’s say, for a person, who doesn’t know anything about Icelandic aviation, how would you describe: what is Flugmálafélag Íslands? Flugmálafélag Íslands (The National Aeroclub of Iceland) is what in Iceland we call the “umbrella”. 26 member clubs are part of it. 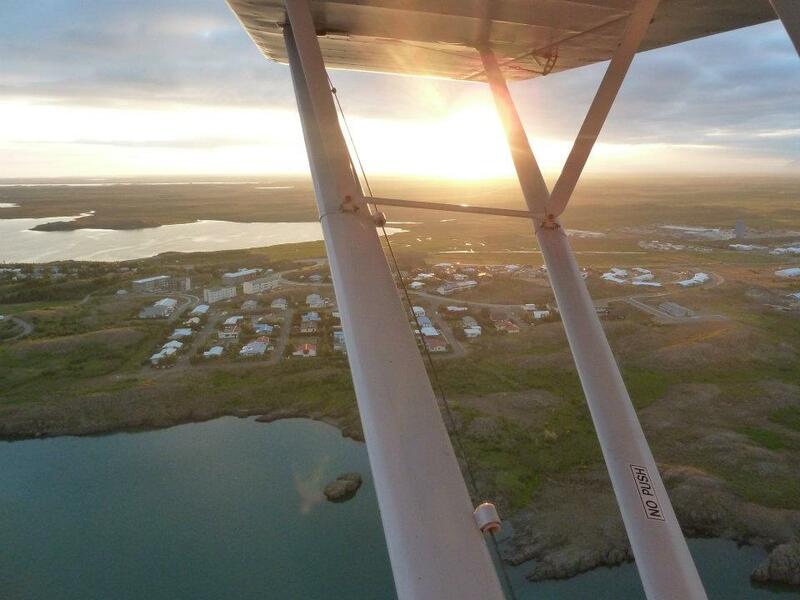 The main purpose of Flugmálafélag Íslands is to introduce the aviation to the general public. We try to keep people informed and draw interest in aviation. Then we also support members, we are trying to lower cost and increase availability, and talk to authorities, to our colleagues abroad, gain from their experience. I would say in general that the aviation community in Iceland is really driven. In early days of aviation, the aviation was a total game changer. We did not have trains or something, just were driving by poor roads or even going by ship. Aviation then allowed, for example, to fly from Akureyri to Reykjavik in 1-2 hours instead of 1 or 2 days. Icelanders were always very interesting in aviation. 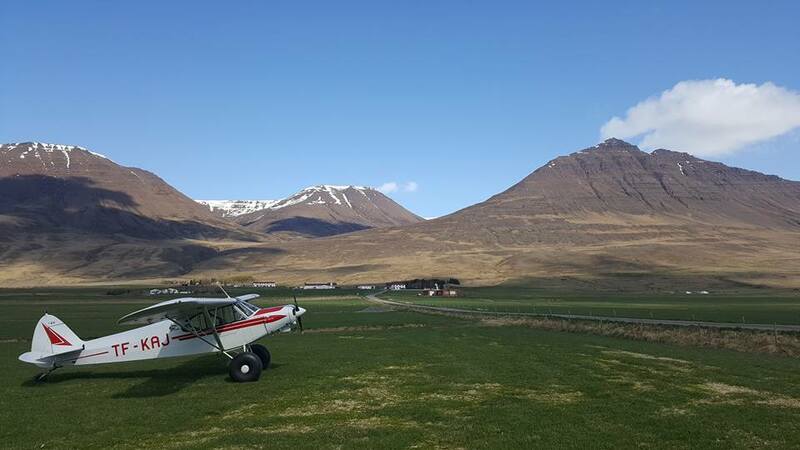 Here in Iceland the number of people, who have a pilot license, more than in the US. Of course, per capita. We have a lot of variety of aircraft, we have a huge home building community, many flying schools, and people are hugely interested in ultralight aviation. I think it is a really dynamic and strong community. We also have airshows, we have competitions, and we have fly-ins. We have activists, who are trying to bring the aviation community together. It is really interesting to be part of this community. Is Flugmálafélag Íslands financed by the state? By member fees and sponsorship of aviation-related companies. The organization was founded in 1936. How was big Icelandic aviation these times? It was probably not that big. There were some trials to form a company. There was a lot of interest. But I’m not sure how many were flying. How was the organization developing through the years? Flugmálafélag Íslands was founded at the same time that Flugfélag Akureyrar, which later became Icelandair. The founder of Flugmálafélag Íslands Agnar Kofoed-Hansen was one of the founders of the airline. 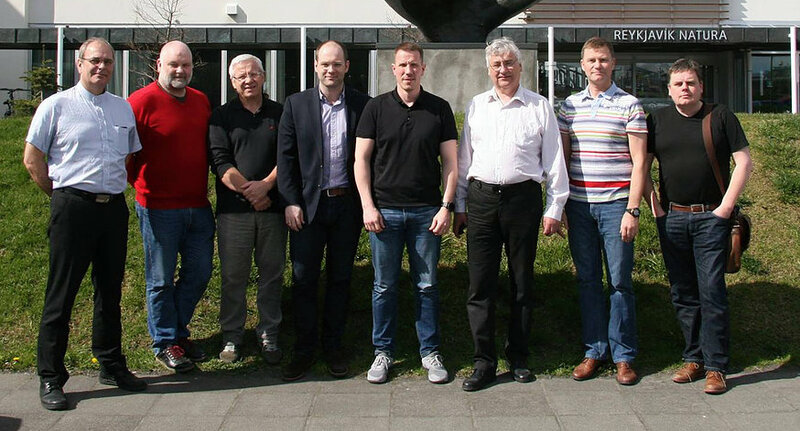 These days the paths of general aviation, commercial aviation and even the Icelandic aviation authorities were intertwined. Many milestones in the commercial aviation and government history were part of Flugmálafélag Íslands history in a way. How and why did you join the organization? Because I wanted to encourage and promote aviation. 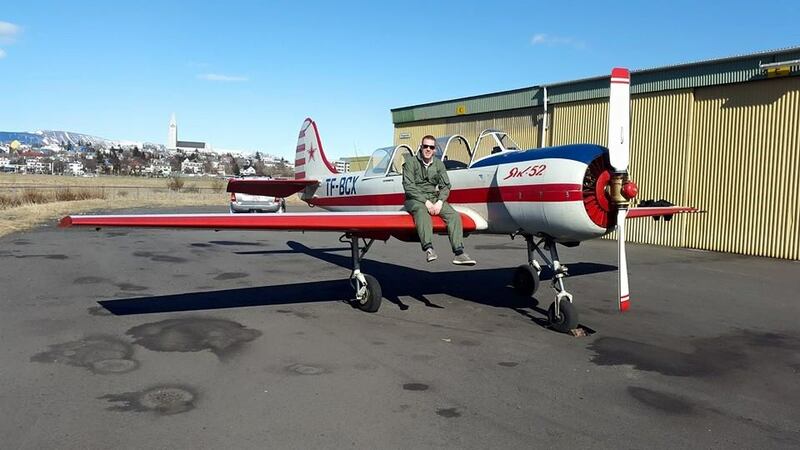 For example, this club Flugfélagið Geirfugl, which is one of the largest flight clubs in Iceland and flying school. I was one of the founder members of this club. I don’t own it, all the members own it. It’s like a community in a way. The aim there just to encourage and have an opportunity for private pilots being able to fly with the lowest possible cost and best availability. It grew and many people are flying today because of that club. I joined Flugmálafélag Íslands after being highly active in Geirfugl. I was interested in trying to expand and take a task for the whole aviation community, including the ultralights and sailplanes, etc. Just to expand more what I was doing in a way. I know that Flugmálafélag Íslands organize major aviation events in the country. 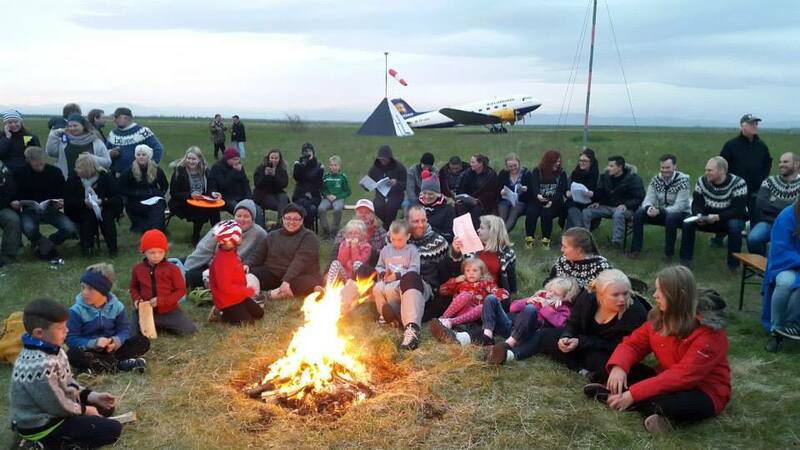 What are the main aviation events you have in Iceland for a year? I will start just with Flugmálafélag Íslands and two main events that we have. At first, it is Reykjavik airshow at the beginning of June at Reykjavik airport. Now it is the annual event. Prior to 2004, it was every 5 or 10 years. We see that many people are talking about their first experience in aviation the got at the airshow. Young people attend the airshow, where they can touch aircraft, even seat inside, see them fly above and then get interested in aviation because of that. The second event, which we are planning, is “Allt sem flýgur” (“Everything that flies”) in Hella in the middle of July. This year we are planning a tournament, which will be “The National Cup”. It is not the first tournament but it has been dormant for several years. After it, there will be a national champion in private aviation. Next week we will start it on Tuesday (July 10) and it will land on Friday (July 13). Then during the weekend, we will have the festival itself, which also becoming attended with more planes and public every year. These two are the biggest that Flugmálafélag Íslands organizing. And then there are other events also, which are big and happen for a while. At Akureyri, they have an airshow, which I was attended this year. And then in Múlakot, which is AOPA organise. These are the biggest, but then we have a lot of other events in Iceland during a year. You said the airshow in Reykjavik is annual, but this year it was cancelled. Why did it happen? The weather forecast was this terrible and it actually turned out to be pretty bad. The meteorologist, which we spoke to, said: “Ok, this weekend will be bad and this summer will be bad”. It was at the beginning of June, so now we know he was right. This time we just said “Okay, this is the case. That time instead of postponing by 1-2 weeks, let’s just set aside and think about it later “. We are selecting now one of those: last weekend of August or the first weekend of September. We want to have it, but you see there were only 2-3 sunny days during a midweek in June, where we can have an airshow. What will be in the tournament? We are in a process of setting a website and materials which will be distributed. We have a judge, who coming from the UK. He is judging competitions and a national championship. He is a seasoned judge. He will come and organize a competition. Most likely we going to work with 4 tasks. During the evenings, between 5 and 6, we will start a task. So, there are 4 days from Tuesday to Friday. For example, one task is where pilots have to find a spot. They will fly from Hella and try to locate objects, do photos for proof. It is supposed to be a 1-hour flight around the local area. There might be some track and pilots have to locate it, i.e. there is a farm and there is a crossroad, etc. Another is “Fast-slow” task: pilots have to fly to a location at fastest speed, then to fly back at the lowest possible speed. I am actually not sure how they going to measure the speed, but the guy, who is organizing it, has a lot of experience. He goes through each of the tasks. And then there is a navigation task. You have to fly a route and you have to fly its correct time, have to pass through waypoints and gates. Participants can take part in any aircraft. What will be after these tasks? The best pilot in each of two categories – ultralights and private planes – will be announced as the national champion. On Saturday (July 14) the winners will get a Cup of Iceland.